Are you looking for a affordable professional exterior and interior painting contractor in Brandon FL area? Peerless Painting Company will clean and paint the exterior of your house with the best materials and quality of work available. Using our dedicated chemical pumps and pressure washers we can clean and prepare the surface for coating. How long did the paint last from your last Brandon Painting Contractor? If the answer was less than three to five years than the surface was most likely not prepared properly and or substandard quality paint was used. The Peerless Painting Contractors Brandon process starts with our two-step cleaning system. This is done with our spray rig that is equipped with a dedicated chemical pump and a commercial grade pressure washer. 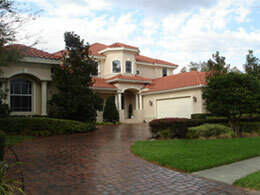 Your home is first sprayed with a bleach and TSP mixture to remove algae and old paint. Then our pressure washers are used to rinse away old loose paint and oxidation. 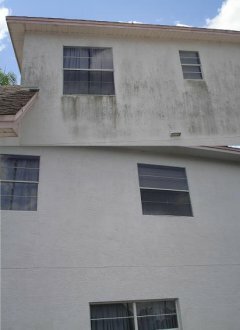 Have you ever noticed the bottom two feet of your homes exterior always grows mold and algae? Killing all of the mold with bleach and sealing the surface is the best way to protect this sensitive area of your property. This maximizes adhesion of materials and ensures the longest lasting coating. Using a pressure washer alone will not disinfect the surface of the algae spores and mold. Using a dedicated chemical pump, we mix up a fresh tank of Tri-Sodium-Phosphate and bleach strong enough to kill mildew and mold and spray the entire exterior surfaces.